The second volume of the best-selling landmark work on the history of the modern state. Writing in the Wall Street Journal, David Gress called Francis Fukuyama's Origins of Political Order "magisterial in its learning and admirably immodest in its ambition." 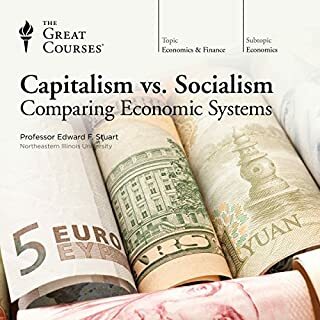 In the New York Times Book Review, Michael Lind described the book as "a major achievement by one of the leading public intellectuals of our time." And in the Washington Post, Gerard DeGrott exclaimed "this is a book that will be remembered. Bring on volume two." Volume two is finally here, completing the most important work of political thought in at least a generation. 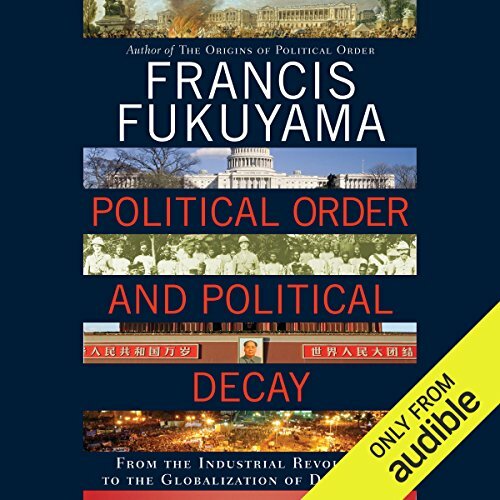 Taking up the essential question of how societies develop strong, impersonal, and accountable political institutions, Fukuyama follows the story from the French Revolution to the so-called Arab Spring and the deep dysfunctions of contemporary American politics. He examines the effects of corruption on governance, and why some societies have been successful at rooting it out. He explores the different legacies of colonialism in Latin America, Africa, and Asia, and offers a clear-eyed account of why some regions have thrived and developed more quickly than others. And he boldly reckons with the future of democracy in the face of a rising global middle class and entrenched political paralysis in the West. A sweeping, masterful account of the struggle to create a well-functioning modern state, Political Order and Political Decay is destined to be a classic. 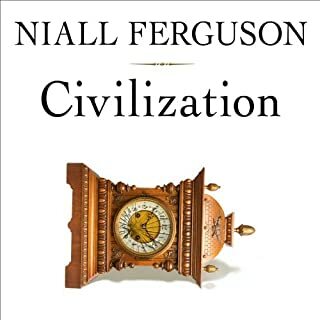 ©2014 Francis Fukuyama (P)2014 Audible Inc. There is a certain beauty to this book. 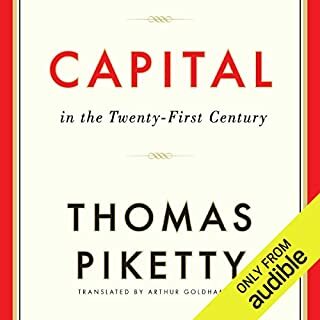 The author completely convinces the listener that there is no more important field of study to understand the world and how we got where we are then Political Science. The author is that good at laying the foundations for his points. Moreover, the author is telling an incredible complicated story with many different moving parts but he excels at telling you what he's going to tell you, tells you, and then tells you what he just told you, and then just in case you didn't understand his points he'll explain them once again by comparing and contrasting with some diametrically opposed counter examples. This volume can be read independently from the first volume. The listener should just pick the area he is most interested in. This volume looks at the more direct relationships to how our current political entities evolved to their current configurations. He explained China to me in such a way that I have to reconsider how I perceive them. 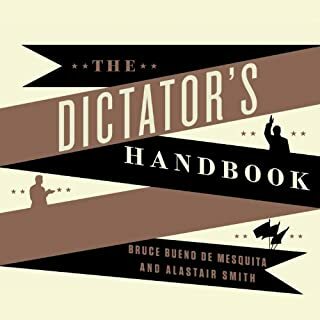 For the last 30 years, their form of authoritarian rule might have been much better than a democracy since they have such a small middle class relative to the other classes. The concerns expressed at Tiananmen Square have fallen on the wayside in today's China. Overall, he gave a fascinating discussion concerning China. I know that Political Science isn't the most important way to understand who we are, but it definitely helps in our understanding by thinking about our institutions, rule of law, and state structures. The one thing that the author did that really irritated me was in parts of the book he would make the false equivalence claim such as "both the Tea Party and progressive Democrats are to blame for ...", any sentence that starts that way is flawed. He argues there is a mushy middle between the two extreme positions and neither one is correct. I'll let the listener decide for himself, as for me I disagree. He also made a statement that our current congress wanted to shut down the government rather than pay for past debts owed by the federal government and putting us into a fiscal catastrophe. I just don't see it that way. It was only one political party that wanted to renege on past government debt. Overall, the book is very likeable, makes one appreciate the role for Political Scientist and gives one valid way for describing how we got where we are today. If you could sum up Political Order and Political Decay in three words, what would they be? you will be rewarded with interesting ideas. What was one of the most memorable moments of Political Order and Political Decay? that would be a tough film to make. Do not stop to early you have to give it some time. As an European, I have to confess I did have some prejudice against a mainstream American political scientist, half-expecting that the book will be 672 pages of praise of the American system. I was put to shame. This was a somber and analytical analysis of different systems, which actually did not conclude that liberal democracy is the only possible way ahead for the rest of the world. 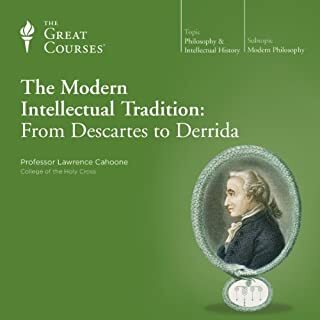 It's hard to review a second volume of a two-volume work without comparing it to the first, and that comparison ends unfavorably for this one. While the first one was organized beautifully, geographically and historically, starting with China, and then moving through India, the Arab world, Turkey, Byzantium ending up in Western Europe, the volume two seemed more disorganized, fragmented, but then, so is the modern world. The book did have some central points, and these were repeated more times than I care for. But the repetition did serve its purpose: Although I can't give you a nice quick overview of the organization of this volume, I can certainly tell you, without much hesitation, all that you want to know about difference between clientelism and patronage, or the importance of building state institutions before democratization. It's absolutely a book worth the time and effort, and the only reason or gets four stars from me is that I enjoyed the first volume more. Francis Fukuyama offers a benediction and warning about democracy in “Political Order and Political Decay”. 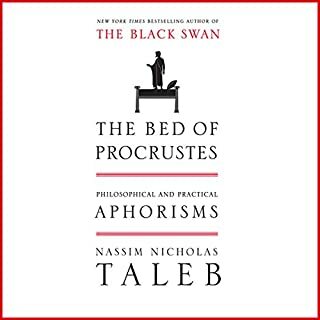 His book is difficult to absorb because of its wide territorial coverage and a listener’s sense that political theory is being justified as much as proven. 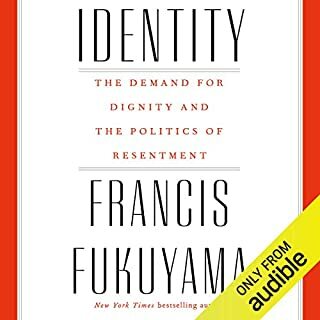 However, Fukuyama impressively argues that democracy is the best form of government in the world and may evolve into a form of government that is best for all modern societies. He examines the current state of American democracy and other forms of democracy developed, or developing, in other countries. Fukuyama explains there are three pillars of democracy. First, a state must be formed to protect its citizens and its territory. Second, rule-of-law must be established to constrain power held by the few over the many. And three, accountability must be institutionalized for policies that serve the interest of all the people; not only factions or special interests. When any of these supports are weakened, democracy decays. If Fukuyama’s theory is correct, it offers a road map to America for its leadership role in the world. The road map starts with America righting its own ship of state by being a good example of democracy. America should support outside countries’ efforts to become independent democracies. Fukuyama suggests every developing sovereign country should be treated with respect based on their road to nationhood. Governments will form based on acquiring their own state identity. America’s role is to support nations trying to establish rule-of-law’ policies that serve interests of their citizens. Finally, America’s role is to demonstrate, encourage, and supplement other nations’ efforts to create institutional organizations that promote the pillars of democracy; with the United States, not as a parent, but as a partner. It would have to be a friend very interested in political science. If this is not a subject you consider yourself very interested in you are probably not going to make it through all 24 hours. What other book might you compare Political Order and Political Decay to and why? 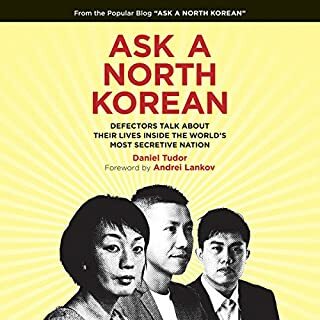 In many ways it is similar to Henry Kissinger's book "World Order" although more from a person well researched in the field than someone who has been through it first person. 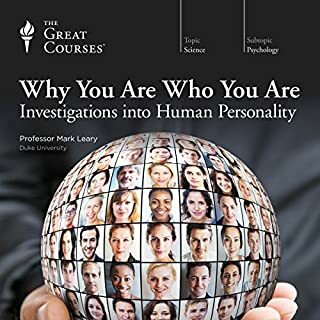 This book references numerous previous works and summarizes their viewpoints, where they agree and where they contrast still the author circles back to where he sees the piece fitting in the whole puzzle and how that differs from some of the previous works. 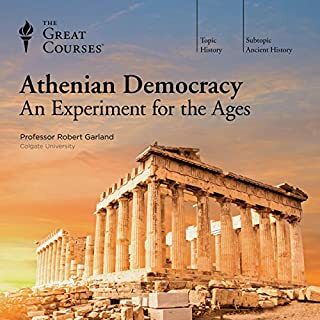 There are no scenes the the explanation of why just plunking "democracy" down in a new country does not fix the problems we might hope it would is very instructive.The narrator is very good. Would be a tougher read without him. If you could give Political Order and Political Decay a new subtitle, what would it be? 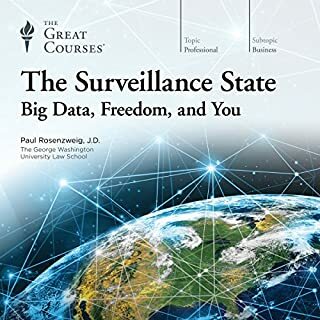 "All about how governments work, or don't, as the case may be"
I would not suggest this book for a long trip. It is just too heavy and even borderline dry in spots. Much easier to handle in smaller chunks. 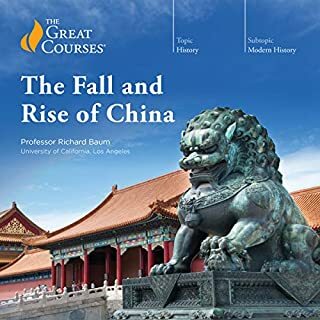 Finally if it is knowledge you crave (as opposed to "credits") this book will probably teach you far more than any intro to poly sci class you might take. A lot cheaper too. The book basic theme is to review and discuss the underlying rules by which societies organize themselves. The book covers from approximately 1806 to date. During this time political institutions, the modern state, rule of law and accountable government developed to a dominant model. Fukayama divides the book into four sections. 1) The establishment of the modern states 2) Its expansion to other regions of the world 3) the concurrent spread of democracy 4) the degeneration of formerly successful democratic institutions. 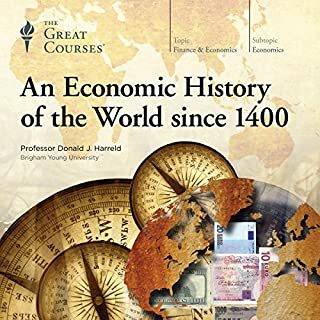 The author primarily has synthesized the existing literature on the topic and presents it in a readable organized manner even if it is a somewhat academic style. The author is primarily concerned about the functionality of government. In school I remember studying Aristotle. 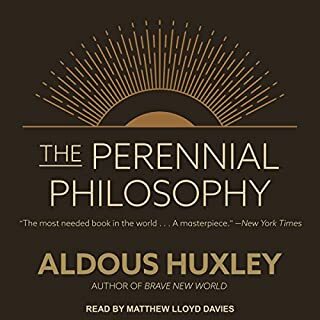 I remember learning one of his major insights was “the purpose of politics is in not to make living together possible, but to make living well possible.” Whereas Fukuyama suggests that politics has the more limited role of simply enabling innately disputatious humans to live together at all. 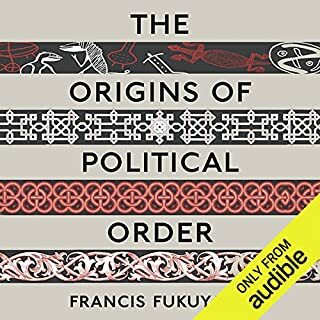 I understand Fukayama has written another book entitled “The Origins of Political Order” 2011 and this current book is a continuation of the first book. 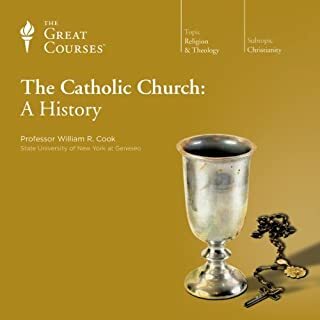 The first book is over 600 pages so I am not sure I will tackle that book and just allow this second book to satisfy my curiosity about the subject. 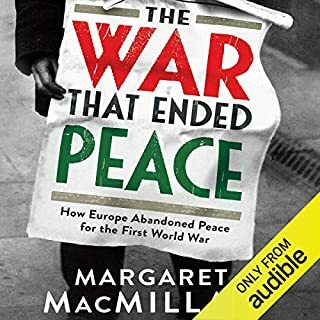 This book is also a long book just over 24 hours of listening in the audio book format. This book is packed with so much information I will have to read it a number of times to fully process and understand it. Jonathan Davis did a good job narrating the book. 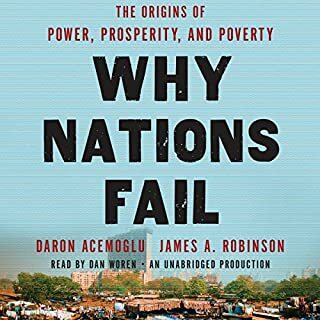 comprehensive, thoughtful, fact based look at where we've been (ie the world) and thoughts on where we could be going with either good leaders or bad. HIGHLY recommended. Would you try another book from Francis Fukuyama and/or Jonathan Davis? I would try another book, particularly the first volume of this work. However, I really don't think that audio is the right medium for Political Order and Political Decay. You really need to be able to see the charts and graphs, as well as stop to think about and write notes on the topic. A hard copy may be in the works for my future reading list. Mr. Fukuyama is quite the smart and well versed man. This book and the one prior cover quite a breadth of information. And while there is a runnIng theme in the two, it almost feel ancillar given how spaced out it is. Really I feel the two long tomes could have been giveb due detail but accomplished in a quarter of the time. I also think the core message is blandly generic: we created various civilizations with XYZ features because of either random PQ events or chance and now they are decaying in ABC ways which are, in specific terms, hard to predict and thus solve. Both volumes are packed full of interesting bit of history I didn't know, especially the first one. For that, the book is good. But perhaps only for that. Nothing lasts forever, and this book explores how political systems are maintained, and how they decay and fail, to allow new systems to emerge. It is a haunting, very real look at how politics and societies work. Liked it over and over and it's a must have on the bookshelf to have a better picture of what happens and has happened in the world.